Home » Healthy Eating » B Vitamins: Are You Getting Enough? B vitamins are sometimes called the energy vitamins, since they help put a spring in your step and play an important role in maintaining your energy levels. In fact, they play such a key role that perhaps they should also be called the “Brisk, Bouncy, and Bright” vitamins. In actuality, there are eight different kinds of B vitamins, and each one has its own distinct job. How do B Vitamins Help? A healthy diet full of variety should provide adequate amounts of each B vitamin. Although, B vitamins are stored in the body, they still need to be ingested on a daily basis for optimal health. In addition, certain medical conditions can interfere with your ability to absorb B vitamins. For example, people taking proton pump inhibitors, birth control pills and metformin, common medications, may have reduced ability to absorb some B vitamins. Intestinal permeability or atrophy (eg. Untreated Celiac disease) can interfere with absorption. Vegans cannot ingest B12 in their non-animal food diet. As well, severe alcoholics eating little food often can have low levels. In our stressful lives, B vitamins can be used up quickly in the body and sometimes one’s diet does not provide enough of the nutrients and a supplement is necessary. Foods that are highest in the B vitamins include: meat (beef, lamb, pork), poultry, eggs, fish, and dairy. Organ meats are high in B vitamins. Other foods such as beans and legumes, dark leafy vegetables, whole grains, nuts/seeds, and nutritional and brewer’s yeast also include B vitamins but not enough B12. What does each B vitamin do? Take a look at the benefits and possible sources for each member of the B-complex team. Vitamin B1 helps convert carbohydrates into energy. Without enough B1, we can feel tired and lethargic. This vitamin also plays a role in the flow of electrolytes in and out of our muscles, so low levels can lead to muscle weakness. B1 can also help regulate blood sugar. Good sources of B1: Fortified grains, peas, beans, and sunflower seeds. Vitamin B2 also helps us convert the things that we eat into energy. It also plays an important role in red blood cell production. Interestingly, one study singled out B2 as being particularly helpful in protecting against postpartum depression. Signs of B2 deficiency include dry, chapped lips. Good sources of B2: Eggs, salmon, almonds, milk. Light can destroy B2, which is one reason why milk is often stored in opaque containers. B3 contributes to our metabolic functions. It also helps regulate our nerves. B3 assists with the production of serotonin, so low levels can contribute to depression. Although over-consuming B3 won’t happen with food sources, overdoing niacin supplements can lead to flushed skin, nausea, and possible liver problems. Research suggests that Vitamin B5 helps to regulate our adrenal glands. That means that maintaining good levels of pantothenic acid can help reduce stress. Vitamin B6 plays an essential role in our metabolism. In fact, it’s involved in over 100 enzyme reactions. It also aids in the production of insulin and hemoglobin. Because B6 helps to metabolize estrogen hormones, a deficiency can lead to more intense premenstrual symptoms. In addition to its role in converting fat and carbohydrates to energy, vitamin B7, more commonly called biotin or sometimes vitamin H, helps our hair shine and our skin glow. In fact, it gets the alternate name of vitamin H from the German words for hair and skin. Good sources of B7: Egg yolks, liver, salmon, avocados and sweet potatoes. Folic acid has an impressive list of tasks. It’s essential for hemoglobin production, as well as protein metabolism. It may also help reduce your risk of heart disease. Because folic acid can help repair damaged genes, it may even slow the aging process. Pregnant women should ensure they get enough folic acid, as it can reduce the risk of birth defects. In a supplement, folic acid should either appear as folinic acid or 5-methyltetrahydrofolate, but not as folic acid. Vitamin B12 is one of the key vitamins for converting food to energy. Together with B9, it works to produce red blood cells and help with iron absorption. It also helps to regulate the nervous system. Vitamin B12 plays such an important role in our cognitive function and moods that sometimes patients are diagnosed with Alzheimer’s when they actually are short on B12. B12 deficiency is the most common B deficiency, and causes numbness and tingling in hands and feet, depression, a widened gait, diarrhea, fatigue and other problems. In a supplement, B12 should appear as methylcobalamin, adenosylcobalamin or hydroxycobalamin but not as cyanocobalamin. Vegans should always take a B12 supplement. Make Sure You Have Adequate B Vitamin Levels! 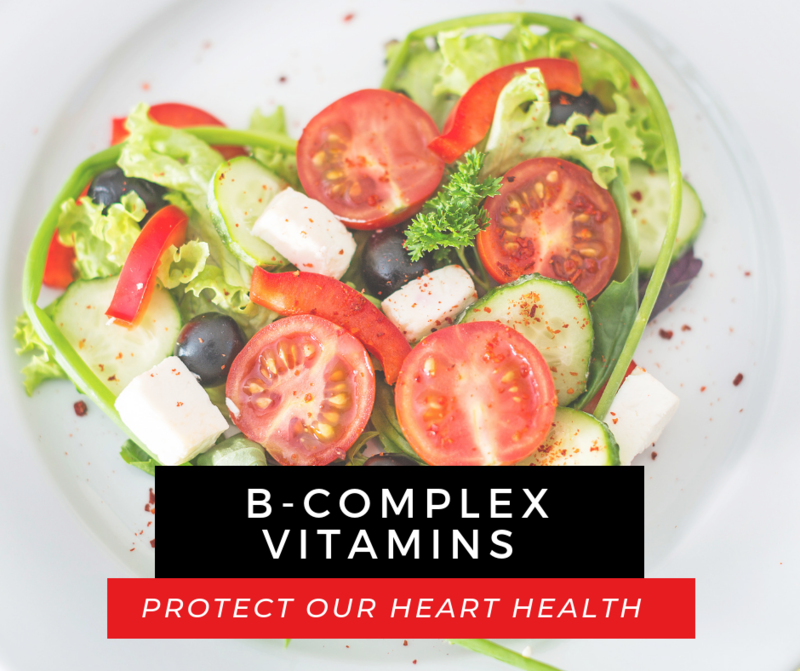 As you can see, the B-complex vitamins are essential for good physical and emotional health. If you’re wondering about your B-vitamin levels, it’s best to review your symptoms and diet with a healthcare practitioner. The correct amounts of B vitamins that you should be consuming can depend on many different factors, like your age, gender, and other factors. Together, we can work on a plan to brighten your mood, increase your energy and ensure your body is functioning properly with the help of B vitamins.